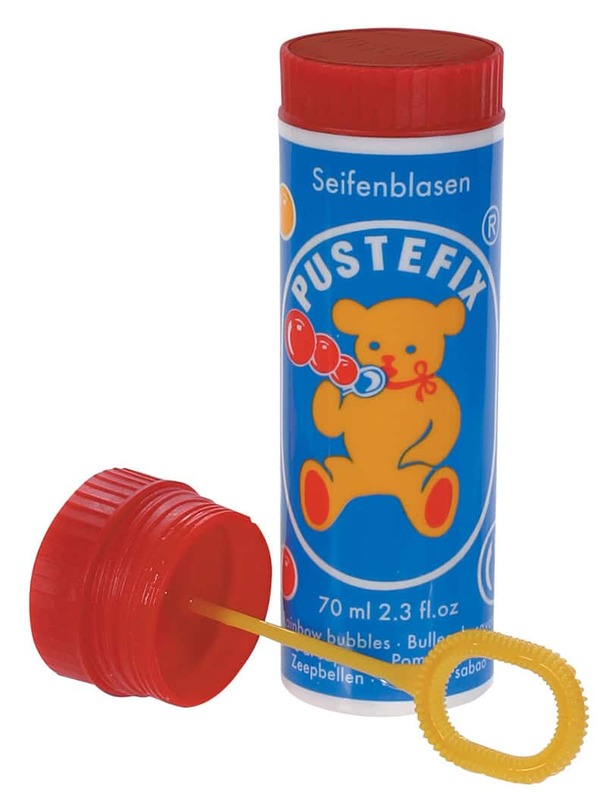 Pustefix Bubbles, made in Germany for over 50 yearas, are simply the best. Keep a bottle handy and take regular bubble blowing breaks. You’ll smile as stress melts away. 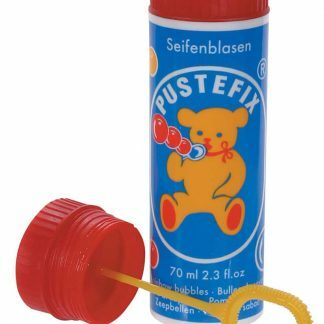 Pustefix Bubbles Large 6-pack brings smiles and peals of laughter to bubble blowers young and old. Six-pack means having some to share for spur-of-the-moment fun. Feeling tense? Unleash a blast of bubbles. Blowing bubbles relieves tension. Our bodies relax. Our minds too. What’s more, bubble blowing requires prolonged breathing. Yet another way we let go of our worries. We’re happier. Also healthier. 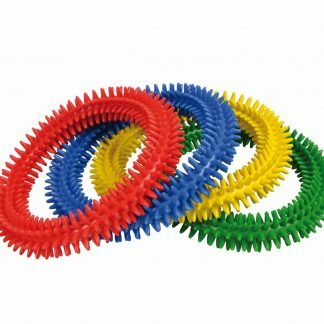 Easy for small hands to hold. Bottle contains 2.3 ounces. Wand in the top reduces mess. 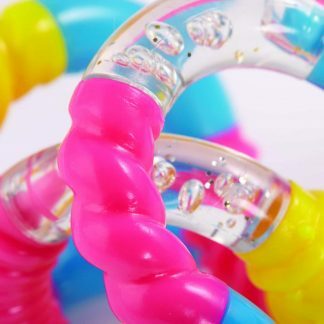 No need for an adult to fish out a loose wand from slippery bubble solution. What better way to short circuit a melt down than blowing bubbles? 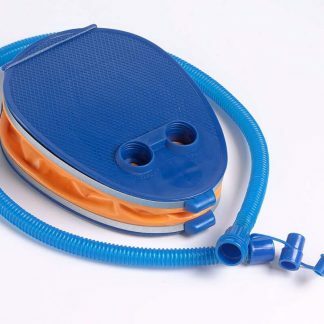 Whether the one coming unglued is a child or an adult, bubbles have a soothing effect. 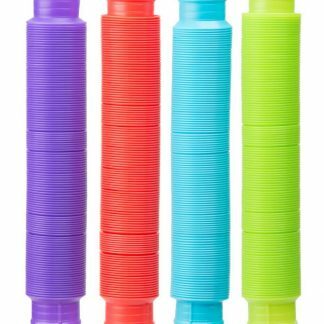 Keep bubbles in the diaper bag to distract tired, fussy babies (also their siblings and parents). On a road trip? A few minutes of bubble blowing at rest stops is a welcome distraction from riding down the highway. Also adds an element of fun. WARNING: CHOKING HAZARD - Swallowable liquid. 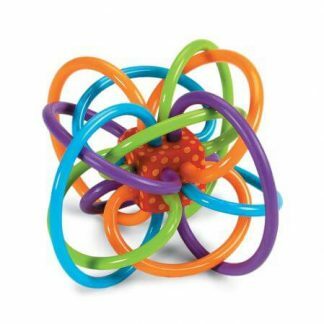 Not for children under three-years-old.